"Fine American comfort food in a romantic setting"
Located in the tranquil setting of a historic hotel, just a stone's throw from the Lambertville-New Hope tourist haunts, Anton's at the Swan is a haven for gastronomes who favor innovative American cookery in tune with nature's bounty. Chef/owner Chris Connors fashions his monthly menu with inventive dishes that reflect availability of seasonal ingredients. Curried Corn and Coconut Soup with Crab in summer, Brown Butter and Roasted Tomato Risotto in early autumn and Braised Duck and Wild Mushroom Shepherd's Pie in the winter are just a few of the perennial favorites. 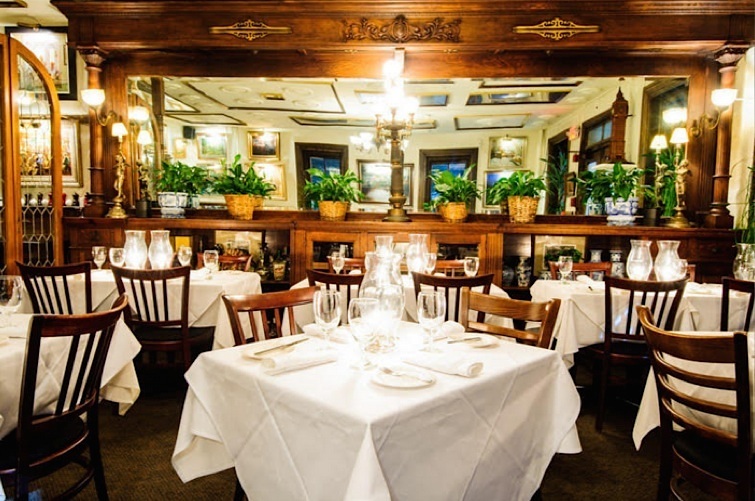 Anton's is one of the few restaurants that has lasted for years in the summer tourist town of Lambertville because chef/owner Chris Connors has been pleasing patrons with the highest quality fare and outstanding dining experiences.